Chat Recap: Raving about Gear! Here is the rundown and my key thoughts from last nights #Bibchat! Thoughts on Long runs! I simply love long runs. They give me a sense of accomplishment and help in keeping my stress low. The short runs are great (and I do like how my new Claytons are working out on these short runs) but when I only run 3-5 miles, I feel like I should have run more! Of course Julia Montag of Bibrave said I should just run faster! How does one’s gear make or break a long run? I am in the camp that gear more often than not breaks a long run. For example, as I opened with, technology can break down (one mentioned their watch breaking down – I have had the same issue) and just ruin a long run. I have also had instances where my belt broke (but not my SpiBelt btw). Take it slow! One issue I had when I first started long runs was the lack of patience. I wanted to run fast and quickly! Well that is not the correct way to build up miles! Patience is important and a slow build is the best way IMHO to get to the level you want to be. Don’t hurt yourself….enjoy yourself! Slow and interesting! So while you are taking it slow, runs can be interesting. Look for scenery or something new to see. Bring something that can hold audible books. Do some serious thinking of a subject near and dear to your heart! Keys to successful running gear! First and foremost, my Garmin 235 is numero uno! Second is my Aftershokz and my iPhone. 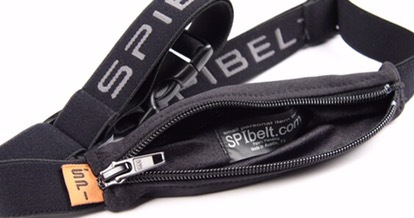 Third is a belt (been using the SpiBelt of late). Beyond that, perhaps a Gu shot for the long race runs but that is about it! Simple and to the point. What do I do following my long runs? Drink water. Perhaps I put some “Endura” in it but largely I drink water. That is my recovery choice and then later, back to normal with regular eating. So that’s it for this week recap. Just to remind you, if you are local, the Runners World Classic is coming to Merrimack College in July. If you plan on running it, why not save 10% by using code RAVE. Previous Post TR: Clayton and Cliftons.